Your industry leader for commercial and industrial air cleaning!!! At Air Cleaning Technology, Inc and DynaClean, Inc. We offer you a wide variety of new and used air cleaning equipment, filtration products and DUST COLLECTORS. We are proud to represent our own line of ACT Dust Collectors. Our line of ACT Dust Collectors was design to bring you a fantastic dust collector at a fantastic price. With over 20 years air cleaning experience, we have all the knowledge and experience to help you find the right equipment for your needs. We are also proud to bring you a complete line of USED DUST COLLECTORS and equipment by manufacturers such as TORIT, FARR, AERCOLOGY, AAF, DUSTEX, MICRO AIR and many others. Be sure to check out our used products page to view any USED DUST COLLECTORS, both cartridge and bag style from Air Cleaning Technology. A good used dust collector will not be around for long so check back often. 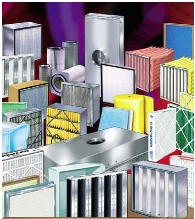 While you are thinking about it, don't forget to call us for new filters and parts for your existing dust collector. 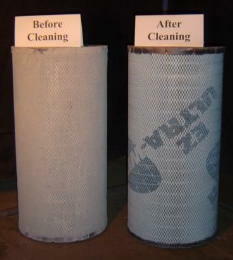 Air Cleaning Technology has recently put a concerted effort into providing you with a dust collector for your needs. 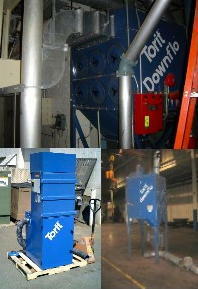 To best do this, we have added to our line of new ACT dust collectors, a used dust collector line. We have and continue to go to great lengths to make sure that we always have a dust collector for you, in stock and ready to ship. Nice, used dust collectors are hard to find, but with Air Cleaning Technology, Inc. you need not worry. 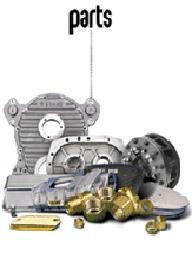 Our used dust collector inventory will be constantly changing so check our used products page often. When buying a used dust collector, people often overlook some pertinent items. These items include control panels, filters and drum lids. These items can add up to $2500 to the cost of your dust collector. At Air Cleaning Technology, Inc. we make sure your dust collector comes with the aforementioned items. We hope you do all your new dust collector and used dust collector shopping with us! LOOK NO FURTHER THAN AIR CLEANING TECHNOLOGY AND DYNACLEAN FOR ALL YOUR AIR CLEANING NEEDS!!! Is cigarette smoke running off your customers and aggravating your employees? Click Here for commercial air cleaning products Is air pollution in your factory running your employees off? Are you sick and tired of paying large sums of money for new equipment?